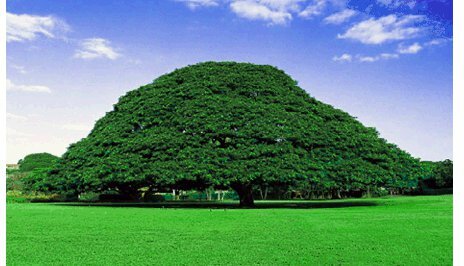 Posted by OromianEconomist in Africa, Africa Rising, Illicit financial outflows from Ethiopia, Land Grabs in Africa, Land Grabs in Oromia. A shocking investigative journey into the way the resource trade wreaks havoc on Africa, ‘The Looting Machine’ explores the dark underbelly of the global economy. Africa: the world’s poorest continent and, arguably, its richest. While accounting for just 2 percent of global GDP, it is home to 15 per cent of the planet’s crude oil, 40 per cent of its gold and 80 per cent of its platinum. A third of the earth’s mineral deposits lie beneath its soil. But far from being a salvation, this buried treasure has been a curse. ‘The Looting Machine’ takes you on a gripping and shocking journey through anonymous boardrooms and glittering headquarters to expose a new form of financialized colonialism. Africa’s booming growth is driven by the voracious hunger for natural resources from rapidly emerging economics such as China. But in the shadows a network of traders, bankers and corporate raiders has sprung up to grease the palms of venal local political elites. What is happening in Africa’s resource states is systematic looting. In country after country across the continent, the resource industry is tearing at the very fabric of society. But, like its victims, the beneficiaries of this looting machine have names. AFRICANS ask many questions about what ails a continent that abounds with natural riches yet suffers, too, from greedy rulers, bad government and entrenched poverty. The replies they get range from the outright racist to the climatic (countries in the tropics suffer from more parasites and disease than in more temperate latitudes) to the political, with many blaming colonialism or so-called neo-colonialism for the continent’s woes. For Tom Burgis, a journalist with the Financial Times, the problem is, paradoxically, Africa’s wealth of natural resources. He is not the first to write about countries with the “resource curse”. Nor does his book add to the copious academic literature on the subject. But Mr Burgis sees Africa—with a third of the Earth’s mineral deposits and some of its weakest institutions—as being particularly vulnerable to the predations that arise from the combination of mineral wealth and poor governance. 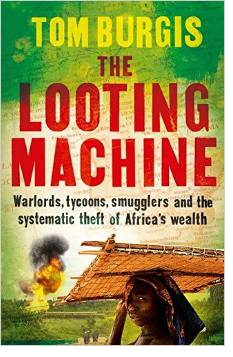 “The Looting Machine” is the fruit of Mr Burgis’s many travels through Africa, from bars in Port Harcourt to gleaming new office towers in Luanda, as well as his work as an investigative journalist. He presents a lively portrait of the rapacious “looting machine” in which international mining companies contrive with local African elites to strip the continent of its resources. In doing so he is not short of anecdotes (nor copious footnotes). In Angola he points to a small group that controls the state and has amassed great wealth. In parts of Nigeria these resource rents are shared between an elite that controls the state and armed warlords who held it to ransom through blowing up pipelines and kidnapping oil workers. Yet for all the rhetorical flourish, Mr Burgis fails to explain why some states with bountiful natural resources manage them in ways that deepen democratic institutions and benefit the poor. One need not look as far as Norway for this. Botswana gets a mention for its economic dependence on diamonds (it is a major producer), but less so for its democratic traditions, excellent health and education systems and stability.